*By submitting I consent to receiving event arrival info via text message. Unlike other sites, we don’t add fees. Our Las Vegas bottle service prices are the club’s best prices. VIP Bottle Service in Vegas is often seen as an exclusive, upscale practice, but it can be quite economical to upgrade to bottle service. And there’s no better way to enjoy a VIP Table than with our Las Vegas Bottle Service Deals. Vegas table service includes a bottle of liquor, all mixers, and your own server who also doubles as a bartender. Bottle service starts around $400, and varies by the night, club and choice of liquor. Clubs often require a minimum bottle purchase; usually 1 bottle per four people. We at Free Vegas Club Passes can help make your bottle service Las Vegas experience more affordable. We’re often able to remove or reduce bottle minimums. We can even score you free bottle service, though that’s limited to groups of 7 or more attractive ladies. 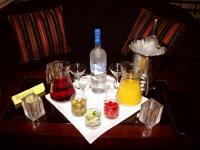 To experience bottle service Las Vegas-style with the best deals, all you have to do is fill out the form below. 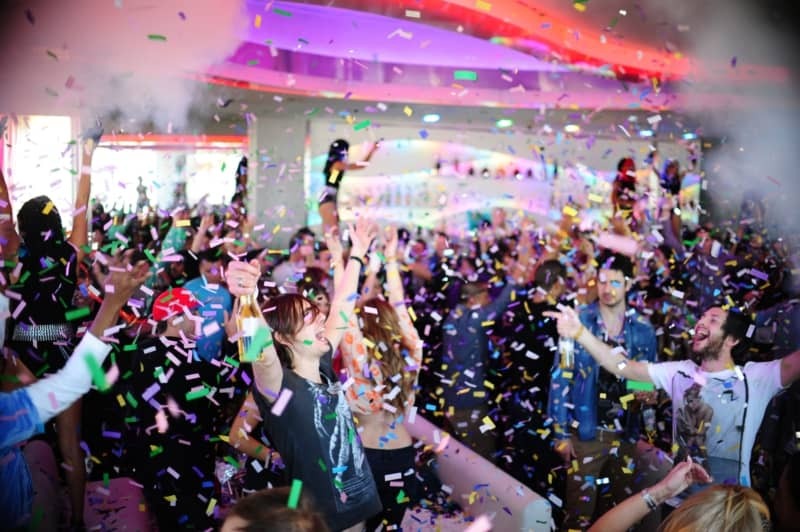 With Piñata-smashing contests, champagne showers, confetti rain, and performers on stilts keeping the party vibe alive, Ghostbar Dayclub has become an unmatched celebration of life, festivities, and good times! 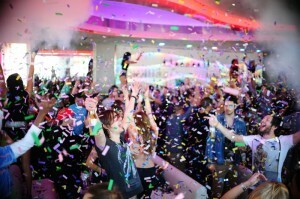 Clubbers dress in rave attire, tutus, and theatrical outfits to crank up the excitement at this unequaled dayclub. So, what is a better way to spend your Saturdays in Sin City? With an “anything goes” party vibe and slight recklessness, GBDC has become an ideal destination spot to party hard! Tables start at only $275! Fill out our form now to get a table at the always popping Ghostbar Dayclub. 1 OAK – Open Wed. Fri. Sat. The Act Nightclub – CLOSED. The Bank – Open Fri-Sun. Chateau – Wed, Fri, Sat. Crazy Horse 3 – Open 7 days. Free transport & entry available 8pm-4am. Ditch Pool– Open in Summer – Open Thurs-Sun. Encore Beach Club – Open Thur-Sunday in Summer. Foundation Room – Open 7 days a week. Hyde – Open Tue,Wed, Fri, Sat. Marquee Night Club – Thur-Sat, Monday. Omnia – Open Tues, Thurs – Sun. Venus Pool Club – Open 7 days during Summer. Voodoo – Open 7 days. Wet Republic – Open Thur-Mon Summer.